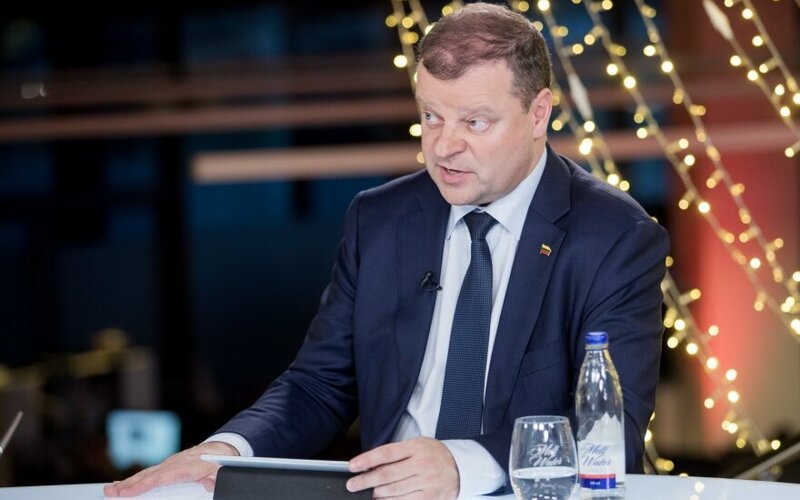 What do Saulius Skvernelis‘ unusual actions – reaction to teachers‘ strikes, dismissing ministers, talks about coups and contacting the special services regarding the Kremlin‘s hand among politicians – say about his goals? According to some experts, this is a well thought out strategy, however others see it as only failure to maintain calm, lrt.lt writes. Political scientist Tomas Janeliūnas told LRT Radio that he sees very little strategy in the prime minister's recent actions. But it would appear this leads to poor abilities of predicting and emotions, which spill over, yielding the opposite effect to what is expected," the Vilnius University Institute of International Relations and Political Science professor stated. Other experts do see a strategy at work, but they also find it to have numerous weaknesses. One of the aims of such aggressive rhetoric, according to them, is to make everyone only discuss the "Farmers", Conservatives and S. Skvernelis. Vytautas Magnus University professor Lauras Bielinis spoke that it is incredibly mistaken to involve security structures in politics, but this way, the prime minister has focused attention on himself, the "Farmers" and the Conservatives. "In a political sense, it is very beneficial to him. This way, he maintains massive tensions in the political field and all the candidates are waiting stunned to see what next – will he or won't he enter the elections, will he or won't he be a candidate," the political scientist spoke on LRT Aktualijų Studija. Public relations expert Mykolas Katkus explains that one of the most important matters in modern politics is to control the news flow – to start and end it yourself. However, such escalation of tensions could, according to the expert, be detrimental to himself. Earlier, the "Farmer" party supporters could be separated into two blocs – a radical side, which supported R. Karbauskis more and one that is more centrist and associated more hopes with S. Skvernelis. However, the chosen strategy will not appeal to centrist voters, M. Katkus believes. "Earlier you could say that it would be a very large difference, who would enter the presidential race – S. Skvernelis or R. Karbauskis. After a couple of such combative months, the difference is ever smaller," he notes. The expert finds that the party's choice is not to go down the path of being a party with broad support and win in the second round of elections. "They have very clearly turned down the path of being a party, which can stably gather 15-20% of voters and which is equally stably disliked by all other voters," M. Katkus spoke. Political analyst Vytautas Bruveris agreed with M. Katkus. According to him, S. Skvernelis and company are continuing a strategy of escalating the conflict, making public discourse hysterical. Since it is being done so foolishly [...] that even a part of their voters (primarily the less hysteric ones, a little less the fanatics, who have perhaps started to waver and who the party must maintain a hold on) clearly see the foolishness. In this regard, I believe that S. Skvernelis' behaviour is dangerous," the analyst spoke. Also, the Kremlin card, which was used in the declaration about politicians potentially posing a threat, is not understandable to all "Farmer" voters, V. Bruveris believes. "S. Skvernelis' rhetoric that Russia should no longer be isolated, that contact must be renewed, they like it. But now he has pushed the Kremlin Conservative style onto the Conservatives. Those people, I believe, do not grasp, what is happening and are raising one, if not both brows," V. Bruveris spoke. According to T. Janeliūnas, the public has already grown used to "Conservative squealing" about the Kremlin's hand, it is already clearly identified as a trait of the party. As the analyst, "The "Farmers" are urging voters to choose through their rhetoric. Either us or the Conservatives. As for other parties, it is as if they do not exist in the political arena: Order and Justice are gradually vanishing, the Social Democrats are sometimes there and sometimes aren't, who knows what is happening with the Liberals. We practically can't see the other political parties. The public can't." M. Katkus also observes this. Just that such a step, he believes, opens the door for "a third road." This is evident in the Labour Party's ratings, which spiked with the return of Viktor Uspaskich as its chairman and Gitanas Nausėda's, a person, who is not in conflict with anyone, popularity. "I believe that we will be back to the elections of the year 2000 when Artūras Paulauskas will say that we need a third path, how long can the political pendulum continue?" M. Katkus mused. Rimvydas Valatka. 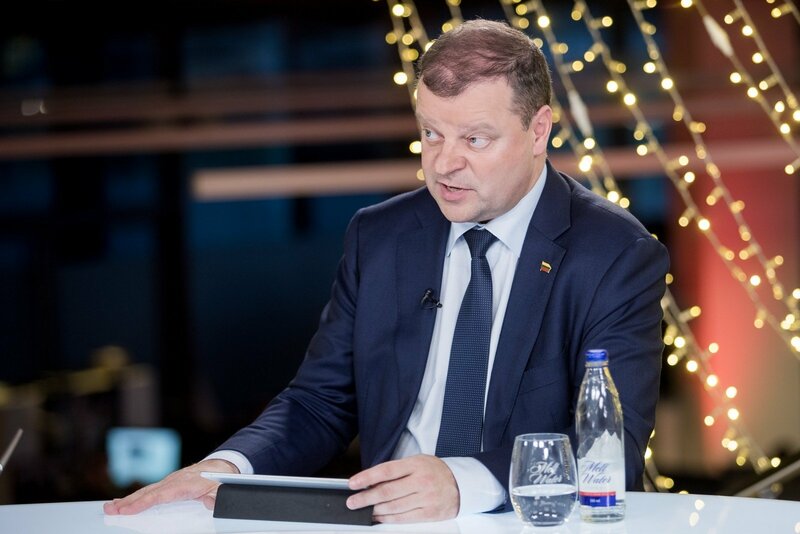 Seimas Kirkutis stories: will Skvernelis end as Musolini did?